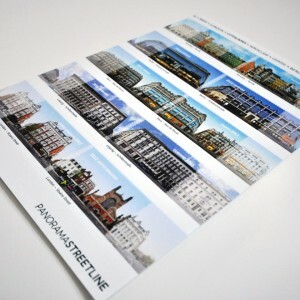 Prints of our streetline panorama works are available in different sizes and finnishing options. 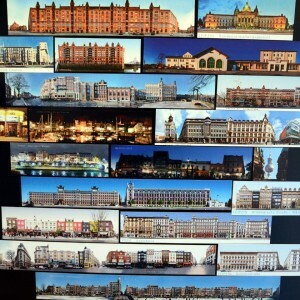 Our standard high class print solution is the frameless gallery print in Acryl/AluDibond technique. 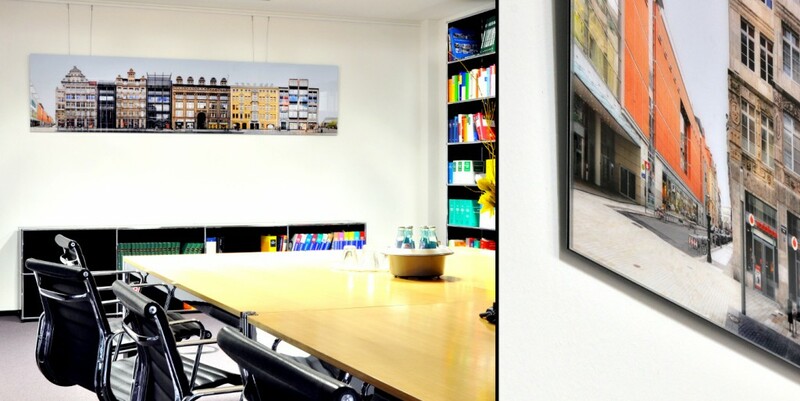 The example below is from an office space that uses a 2.80 x 0.70 metre gallery print of the Leipzig panorama Grimmaische Strasse / Maedlerpassage. Example prices for gallery prints are listed below. 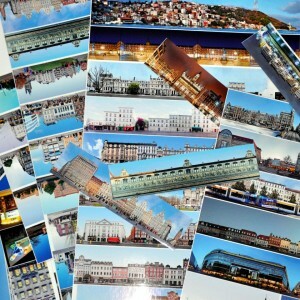 Prices are subject to edition numbers of prints, sizes, motif and print technique. 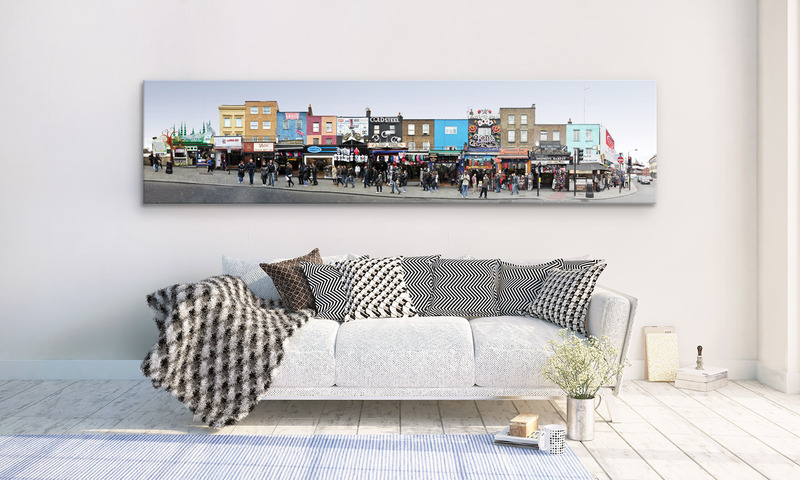 Please contact us with an individual request for prints of your preferred Streetline image. 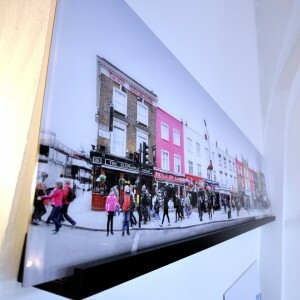 Other print techniques we use on request are for example: canvas print, art paper print, AluDibond print, matt glass acrylic print. For special requests or questions please write us an e-mail. 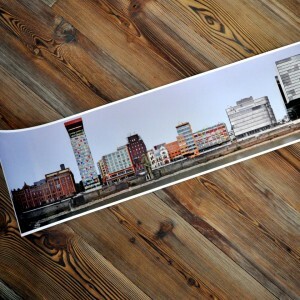 Several of our city panoramas are available as print-on-demand products via Amazon. This is an overview of them and the links lead you to our Selection at Amazon, which you can limit to cities by adding the city to the amazon search. 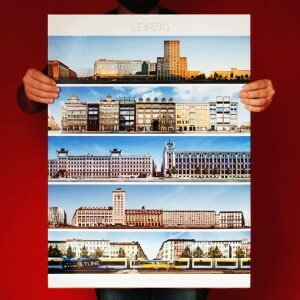 Again we are also able to print in other sizes, motif details or print techniques on demand.